The Greys Prodigy On-The-Move Bag is perfect for when you need to travel light. It has a roomy main compartment, two useful rubber mesh end pockets and a large hinged front organiser pocket. 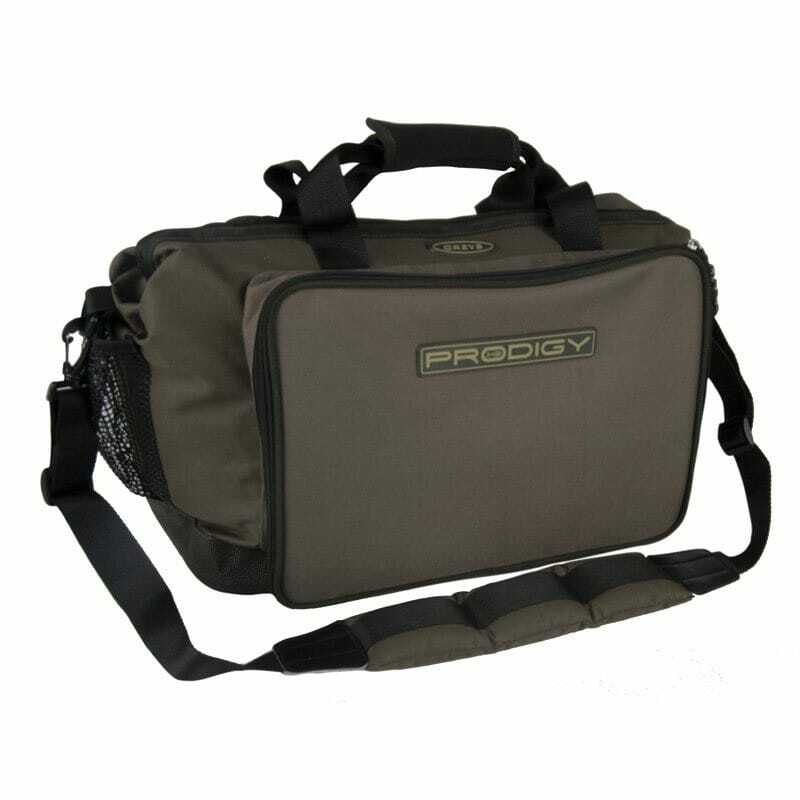 The latter features an internal licence/hook pocket, along with two medium and four small soft mesh pouches - part of a modular system that accepts small and medium Greys Prodigy Klip-Lok Base Boxes.This bag also boasts top quality Velcro locking neoprene carry handles, an adjustable padded shoulder strap and a reinforced, water resistant base.